FQ: You began this quest shortly after your retirement. What defining moment (or moments) solidified your desire to ‘go for it’? SNYDER: After I retired in 2009, I had the time to delve into my father’s war history in greater depth, but at the time I had no intention of writing a book. During my research, I read book after book about the air war in Europe, and I joined numerous WW II organizations. I started going to their reunions and listened to WW II veterans tell their stories. It wasn’t until September, 2012 at a reunion of the 306th Bomb Group Historical Association (of which I am now president) held in Savannah, Georgia that I finally decided to write a book. After all I that I had learned during the previous 3 years, I came to the conclusion that the story of my father and his crew was so unique and so compelling that it had to be told and people needed to read about it. 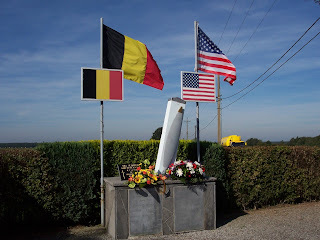 FQ: How difficult was it to return to Belgium for the 70th Anniversary Celebrations and the launch of Shot Down without having your father by your side? SNYDER: Not really. After visiting Belgium in 1994 with my parents for the 50th Anniversary, my wife and I returned by ourselves in 2004 for the 60th. In 2014 for the 70th Anniversary, our three sons, daughter-in-law, my sister Nancy, and her daughter all went together. Although my sister had been with us in 1994, it was all new for the grandkids, and it was a very special trip for them. They all read my book before going and then personally experienced the story while there. It was an absolutely wonderful and never to be forgotten trip. FQ: In your dedication, you reference “...the men and women who sacrificed in the fight for freedom. I believe without a doubt that they truly are The Greatest Generation.” Expand on this, please. SNYDER: The war followed on the heels of the Great Depression which was so far worse than any downturn ever experienced since that time. The fate of the world rested on the outcome of the war, which in the beginning, was very much in doubt. In the 1940’s, about half the population lived in rural areas compared to only about 10% today. Life was very provincial. Many of the men, or really boys, had never even been out of their small country towns and all of a sudden they found themselves half way around the world fighting against the powerful war machines of Germany and Japan. People “back home” had to sacrifice everything towards the war effort. The entire country was united like never before and probably will never be again. When the war was over, the men who fought it did not consider themselves anything special. They looked at it as a job they had to do, and they did it. When they came home, they wanted to put it behind them and forget about it. They focused on starting careers and families. No other event in history affected more people than World War II. It changed the course of America and the world forever. FQ: You devote a chapter to the Americans arriving in England almost overnight and they outnumbered native Brits (as they were ‘…away serving in the war...’) With their initial arrival, what kind of an adjustment did your dad have to go through? Culturally? Adaptations? SNYDER: In his letters to my mother while he was stationed in England, my father wrote a lot about the Brits and about the country. To the American servicemen it was a strange place. 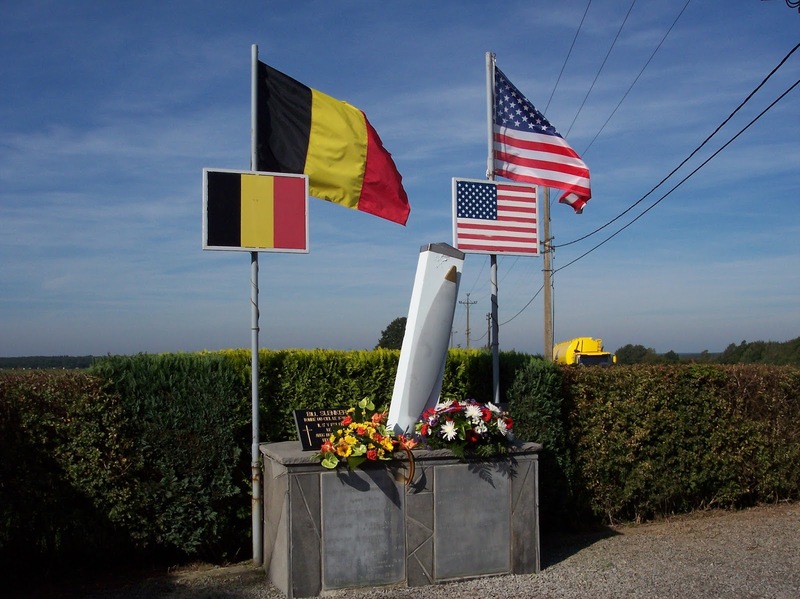 To begin with, they spoke a strange kind of English, but the British people were very friendly and welcomed the young U.S. boys who were there to help them fight against Hilter. London was a city of wonders to them. It was so historical and multi-cultural. There were so many sites to see, and the city was filled with nightlife and entertainment; including many available women. Being much better paid than British soldiers, the U.S. servicemen had plenty of money to spend and have fun. FQ: Were there emotional scars from the war that you feel your dad could never overcome? Respectfully, can you share an incident? SNYDER: I’m really not aware of any. If he did, he didn’t speak about it. My father was very proud of his military service, as all WW II veterans are. After all, it was the defining event of their lives. FQ: Why is it that both officers and non-commissioned officers who were flying personnel were given better treatment? Did the Germans truly believe ‘better treatment’ would mean more intel sharing? SNYDER: The Germans had separate prison of war camps (stalags) for downed airmen that were run by the German air force (Luftwaffe). The German airmen had respect and admiration for their counterparts of other countries. I’m not really sure why. FQ: Your father’s bravery in joining the Resistance was a fascinating chapter to read. Was his motivation in doing so a means to surviving and seeing his family again someday? Did he ever share his inner thoughts toward what compelled him to take that course during his capture? SNYDER: No, he did not. 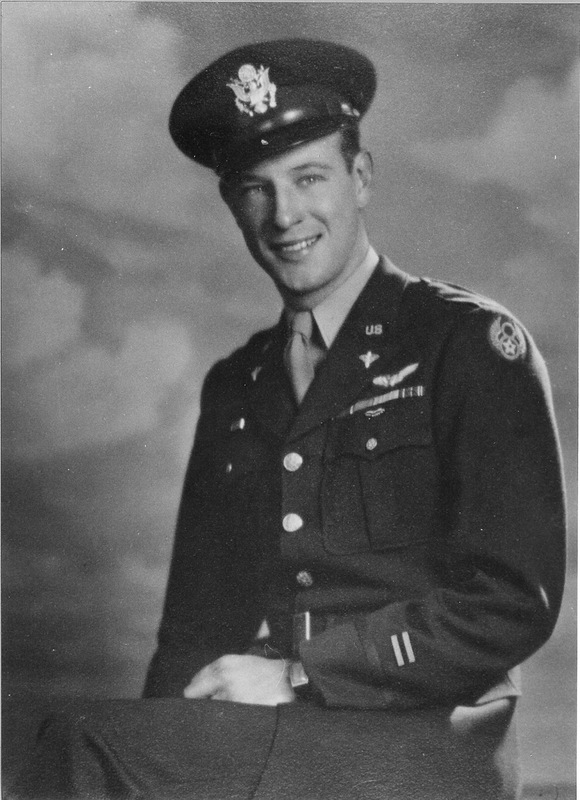 When downed airmen evaded capture, the Underground tried to get then back to England through various escape routes but something always went wrong trying to get my father out. One can only imagine the over-whelming stress of being hidden. He was in a foreign country. Initially he couldn’t speak the language. He had no idea what happened to his crew buddies. He didn’t know what was happening in the war. He couldn’t communicate with loved ones back home. Any moment, the Gestapo (German secret police) could break in the house he was staying at and arrest him; sending him to a prison camp or even executing him. My guess is that he got tired of hiding and decided to be the hunter rather than the hunted. Rather than just sitting around, he wanted to get back in the fight and do something to help battle the Germans. FQ: I saw a documentary a while back that portrayed the SS as the most inhumane and sadistic facet of the Nazi Regime. Those who were tried portrayed this laisse faire attitude of “we did what we needed to do.” In your opinion, were they all sociopaths (or was that the necessity of demeanor if they were going to serve in Hitler’s war)? SNYDER: This is a controversial subject. It is true that the SS were responsible for committing most all of the war crimes. I believe most members of the SS probably began as extremely patriotic Germans who over time became brainwashed through propaganda. However, I’m sure there were all types of deviants who gladly joined and welcomed the opportunity to freely commit violent and horrid acts. It should be pointed out that there were actually two entities that made up the German military forces. One was the Waffen SS which was the armed branch or armed forces of the SS. The other was the Wehrmacht or formal German military forces. These two were often at odds with each other. FQ: Were there periods in your writing process that you were faced with matters too difficult to write about? If so, how did you get back on track and continue forward? SNYDER: No, there really were not. I was just so fascinated with the story and the history and totally immersed in it. War is brutal, people die, and atrocities occur. Even though is was personal as it involved my father and his crew, I knew years before I ever started writing that these things had happened. I was just finally putting all the details down in a manuscript. Events that I wrote about were tragic and sometimes made me pause to think about the horror and grief, but they were never too overwhelming to knock me off track. FQ: You devote a chapter to the Americans arriving in England almost overnight and they outnumbered native Brits (as they were ‘...away serving in the war...’) With their initial arrival, which adaptation do you think was more difficult for your dad to adjust to? Culture? Missing common comforts from ‘home’? SNYDER: Without a doubt, the hardest thing my father dealt with was missing his wife, Ruth, and baby girl, Susan. Although married a little over 2 years when he left for England, he and Ruth were apart while he was in training in the Army at Ft. Lewis, Washington and while he was going through pilot training at several different air bases. Howard and Ruth were married in July, 1941 and Susan was born in September, 1942. 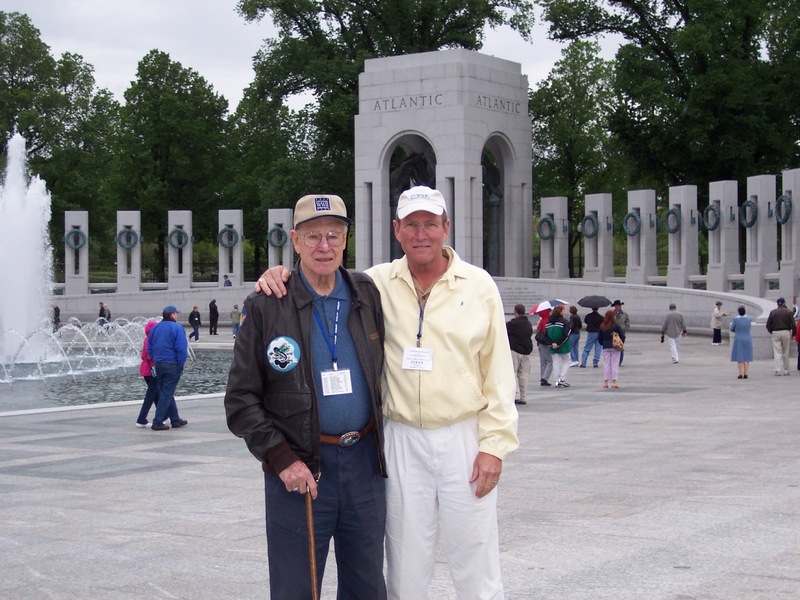 However, they were only together as a family for a couple months in the summer of 1943 during his transitional training and operational crew training in Texas before he was assigned overseas. As a result, he missed then terribly. FQ: After the end of war and beginning of war crime hearings, as you studied this period, what is your reaction to some of the outcomes? Are you able to share a specific trial and how its outcome affected you? SNYDER: It is very sad that the war crimes committed against members of my father's crew and other downed airmen basically went unpunished. Only one person was captured, brought to trail, and executed. When the war ended, everything was in total chaos. Western Europe had been devastated and left in ruins. Millions of people were displaced and homeless. Members of the German military, the Nazi party, and collaborators in occupied countries were running for their lives and trying to hid and/or escape from Europe. For the most part, well known and high ranking members of the German military and Nazi party were able to be tracked down but that was not the case with many lesser known people. It was difficult to obtain evidence, apprehend perpetrators, and prove accusations. As Colonel David Marcus, Chief of the U.S. Army War Crimes Branch stated in a letter, "...the apprehension of criminals is one of the more difficult problems which is encountered in connection with the prosecution of War Crimes cases." FQ: It was an absolute pleasure to read your memoir. I have great respect for historical writers and commend you on a superb read. Are you working on your next project? If so, would you like to share? SNYDER: Thank you so very much. I greatly appreciate it. I do not have another book in the works. All my efforts continue to be focused on making Shot Down a nationally well-known book. I am filming in Belgium and Germany so a documentary might be in the works. 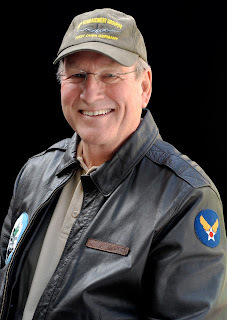 To learn more about Shot Down: The true story of pilot Howard Snyder and the crew of the B-17 Susan Ruth please read the review at: Feathered Quill Book Reviews.